That's it, I'm going to have to get another shelf for all these amiibo. There's no way I'm going to skip out on Simon, Richter, and King K. Rool! 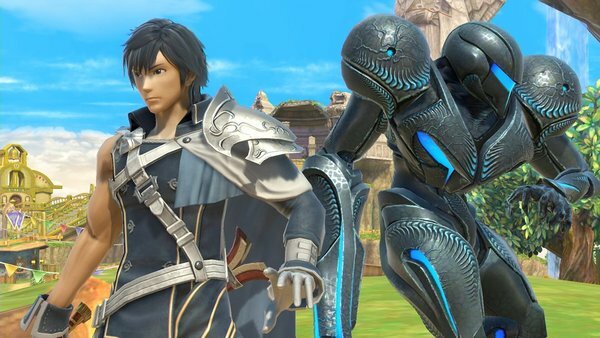 Jokes on you Chrom already has an amiibo!!! Whose left even selling amiibo anymore? Here in Ireland and Europe for that matter they&apos;re as good as dead. Most retailers have stopped selling them. If you really want them then you&apos;ve to get your pre-order in very early on either Amazon or Nintendo&apos;s online store. If you don&apos;t, then you can forget about them unless you feel like paying off some scalper. Nintendo know the demand is dying and only produce very limited quantities nowadays. Oh ya, and while the quality may have gone up, so has their prices. Also...King.K.Roll, didn&apos;t see that coming! That&apos;s easy. Nintendo paid Konami and they&apos;ll also likely get some royalties from game sales as well. Plus Nintendo(well Bandai Namco) are doing all the work. It was probably a favor to allow Snake back in. This dawned on me not too long after the Direct. I am soooooo glad I completed the original Smash line ahead of time. Between the echo fighters, newcomers, returning fighters that missed out on Smash 4, and the possible ones with radically updated designs, I feel like collecting these new ones will be enough of a headache on its own. I NEEEDDD THAT K.ROOL AMIIBO NOW!